There is one huge advantage of becoming an adult—that’s shopping. You may have to work till your body bleeds to pay bills, but on the bright side is that you don’t have to keep pleading with your parents to get you a new toy or a new shirt because you have your own money and can spend it on whatever you want. You can buy anything your mind deems fit. However, it’s not always smooth particularly for families, where priorities must prevail. If you have a family, there will still be that period when you have to be torn between repairing your broken car, replacing your worn-out air conditioner, fixing an old fridge, or renewing your gym membership. There will be more of those multiple occasions where you may need to pay for big-ticket items. When you lack cash to pay for the big-ticket items, what options are there in Singapore? With the array of perks, cards are the most recommended way to pay for large purchases. 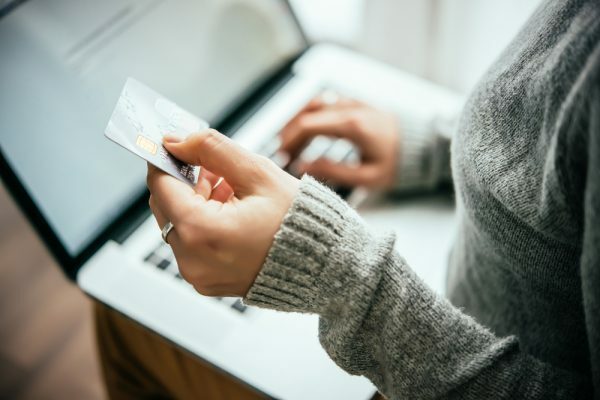 However, you have to be careful enough to pay back the amount you spent all within the statement cycle or else you may find yourself incurring huge interest fees. That is quite easy if you have the money but what if you don’t have the funds available to pay for the item at once if it’s an expensive purchase? What if the store where you are purchasing the item from doesn’t accept plastic? Well, there are still available alternatives that you can use and get your item home, but each has its pros and cons. To enable you to make the right choices, we have outlined four methods that are ranked from best to worst. The most convenient way to pay for a huge ticket item is to make use of your credit card’s installment payment plan. Each time you use this type of payment plan, your bank reimburses the entire amount on your behalf. You will then be required to pay monthly installment payments for the agreed period till the entire bill is cleared up. You have the right to choose the duration that you’re most comfortable with at the point of purchase; which is provided by your bank or merchant. The good part about this method is that you enjoy zero interest during the purchase—you don’t pay any additional charges on top of the purchase price. However, as soon as you sign up for the payment plan, your credit limit is automatically reduced by the entire cost of the item. This is because your bank paid for the item on your behalf, meaning that you owe the bank which is more or less like a loan. Your credit limit can only start recovering every time you pay off the purchase. The type of credit card you use for paying matters the most. If you’re not careful, you may find yourself unable to use the card for quite some months or even worse incur overdraft charges. You also don’t earn any points like air miles or cashbacks for that purchase; the banks take credit not you. Yes, you lose on various areas but gets to have what you wanted and pay for it slowly. Some merchants prefer installment plans while others only deal with money. In this case, you could try and use the balance transfer. This also offers zero interest on the installment plan—a balance transfer is, therefore, a kind of short-term loans characterized by extremely reduced interest rates. Typically, there is 0% interest for some fixed duration which is usually between 3 to 12 months and after which nominal rates will apply. An administrative fee is charged, and it is usually pegged at the percentage of the item’s balance. That means that balance transfers are not entirely free. An excellent rule of the thumb is to select the lowest interest rate (it is stated somewhere in the website and brochure). Another eye-capturing feature to pay attention to is the payback time. You have to pay the remaining balance as quickly as you can to avoid entering the interest programme on the outstanding amount. This is the institution’s way of making you pay back quickly. Personal loan: little amounts of monthly repayments. Another option that can help you pay for the big item tickets is applying for a personal loan. Unlike balance transfers, these loans provide longer loan duration, where you can make minimal payments each month. This method is very convenient for individuals looking to buy an expensive item like a car but lacks enough cash to offset the price or if one lacks enough monthly income to keep up with short repayment plans. However, these loans are not free from interests. Each month, you are charged a certain amount of interest until the whole amount is cleared. The interest rates are quite low compared to credit cards and balance transfers. This option requires total caution and not recommended unless it’s the only option left. If your credit card possesses a cash advance facility, it offers you a chance to withdraw from an ATM. The amount you can withdraw is limited based on your card’s credit limit. You may withdraw up to 90% of the amount available to you. However, the institution charges an upfront fee for giving out the cash in advance—mostly 6% of the amount you intend to withdraw. You also don’t earn air miles, rebates, or points upon withdrawal. On top of that, expect interest charges—apparently higher than your card’s prevailing rate which is payable upon the withdrawn amount. There is no way around the interest rates in this plan. You have to pay the whole amount as stated on the due date which means that you could have as little as 20 days to do so. This method should be your last option when all options become null and void including seeking assistance from family and relatives.